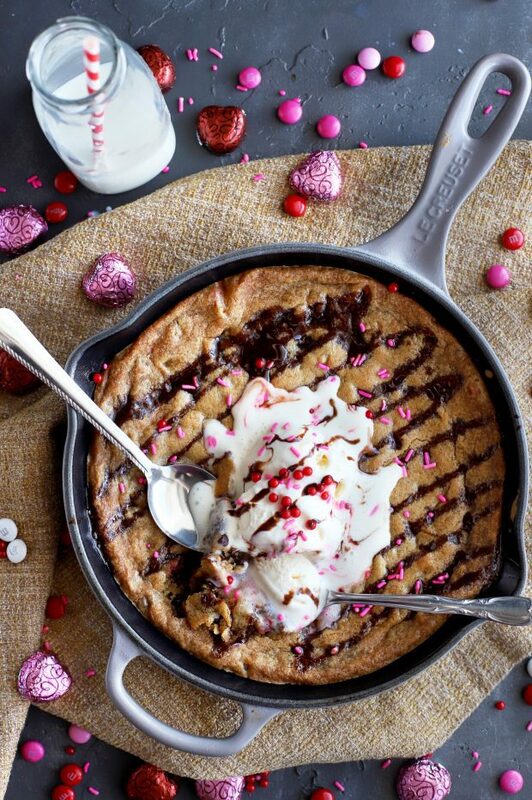 Pizookie Skillet For Two is just the ooey-gooey dessert to cozy up to with your special someone this Valentine’s Day! 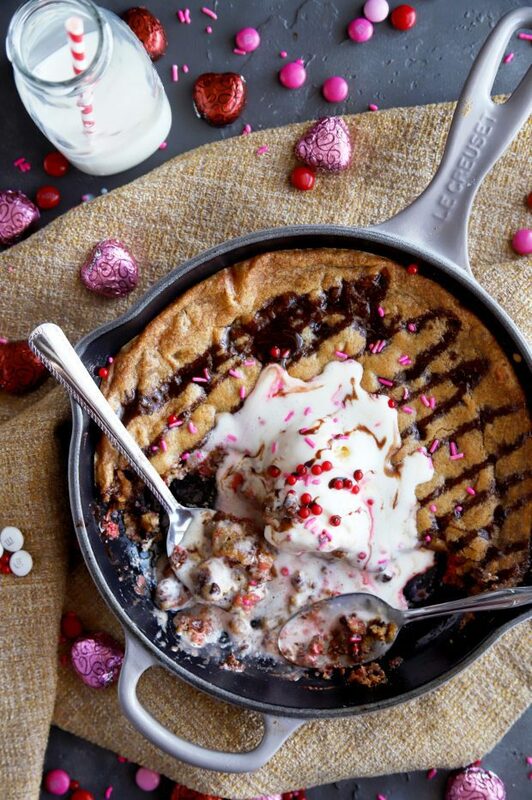 Filled with mini chocolate chips and M&M’s, the skillet cookie is topped with ice cream and hot fudge sauce for extra decadence. Ready in less than 25 minutes! 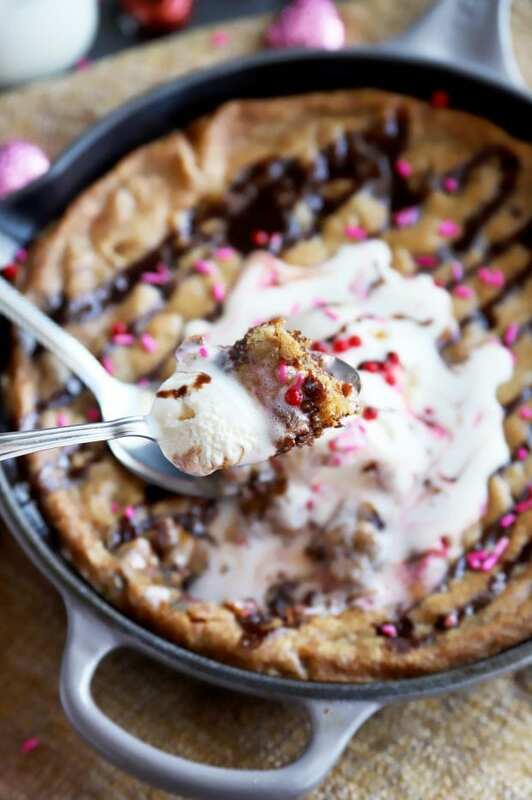 Whenever I think “pizookie,” I am swept right back to high school in my best friend’s kitchen. I remember it like yesterday. We would run out to the store to get pre-made cookie dough and vanilla bean ice cream whenever we had the chance, whether it was after school or on a weekend afternoon. Honestly, I can’t even remember who came up with the idea to make it first… I think it was my bestie Jessica’s idea if I remember correctly. I’d never had it so she of course demanded that we make it right away. 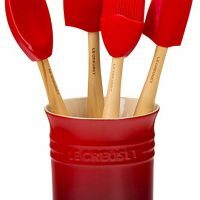 We would stand over the hot dish with spoons in hand, not even bothering to take a seat because the gooey deliciousness was so so good. 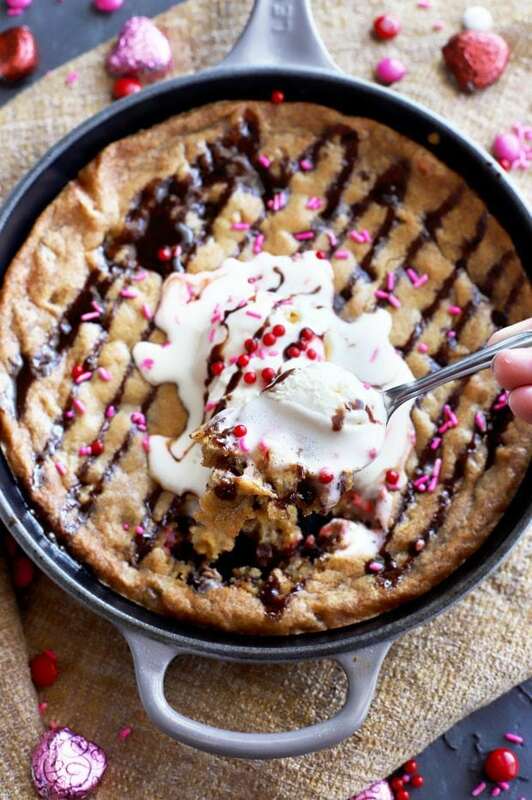 For those of you who don’t know what pizookie is exactly, it’s essentially under-baked chocolate chip cookie topped with ice cream. Yes, I know. This isn’t exactly “safe” in terms of egg and that whole possible salmonella thing that we exposed ourselves to time and time again. That’s why THIS recipe is safe! That’s because you are only using egg yolks instead of the whole egg in the cookie batter recipe. 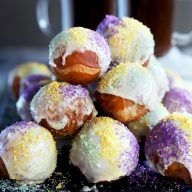 Therefore, even with the batter being under-baked, you don’t need to worry about getting sick. 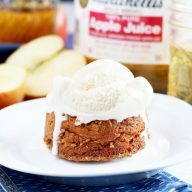 Instead, you can rest assured that there’s only gooey warm deliciousness in store for you. 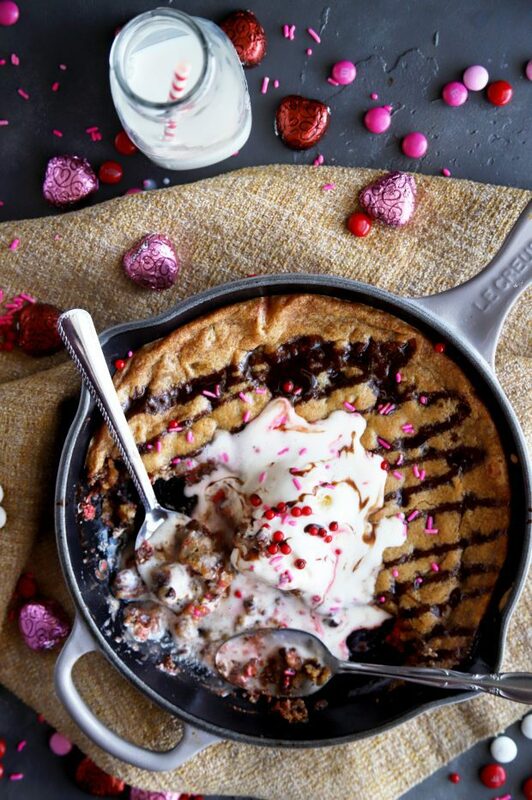 I like to use a combination of Valentine’s Day themed M&M’s and mini chocolate chips to make the skillet more festive. However, if you can’t find those M&M’s, you can just substitute in regular M&M’s or use more mini chocolate chips! 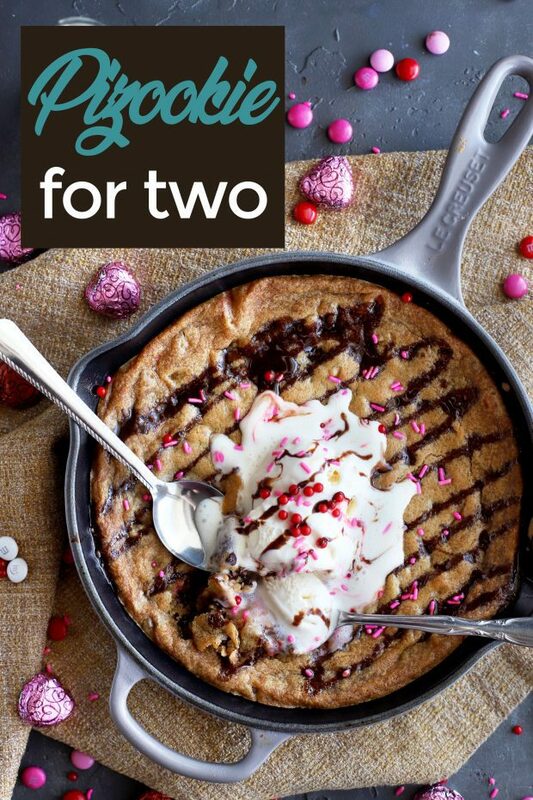 It’s the ideal dish to cozy up to with that special someone, or even with your best gal pal! It comes together in less than 25 minutes and it’s so stupid simple, literally anyone can make it. Trust me. Add some wine, some candles, and some flowers… You have the perfect celebration of Valentine’s Day right here. 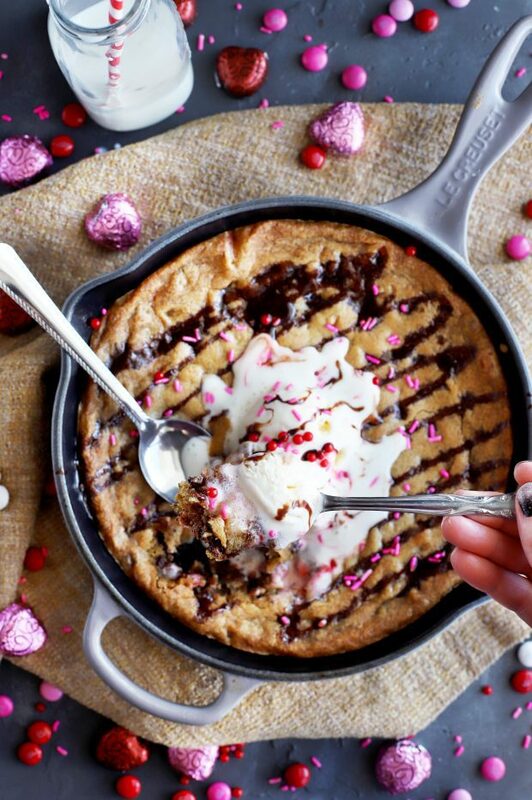 So, who are you going to share this skillet of goodness with?
! 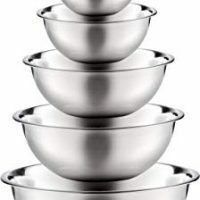 It’s the perfect cast iron to make this in, plus it’s gorgeous to serve it in.
. Their utensils are durable and last FOREVER – not to mention they are gorgeous! Pin this Pizookie Skillet For Two recipe for later! 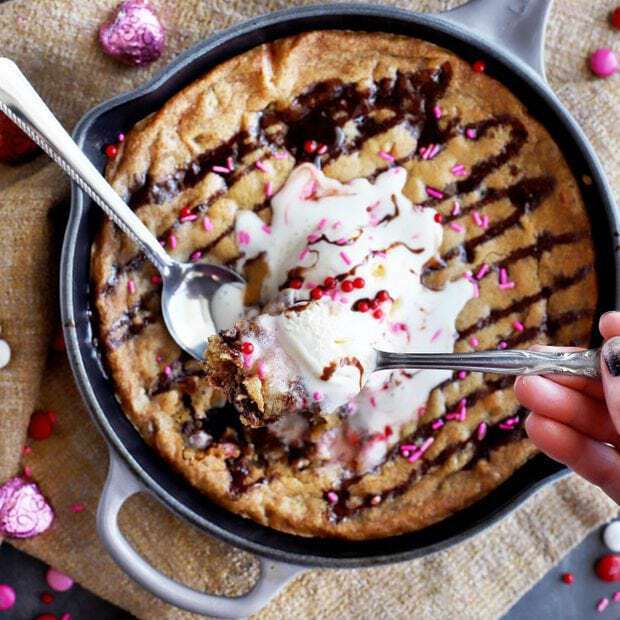 Cozy up to this warm and gooey chocolate chip skillet with your favorite someone for Valentine's (or Galentine's) Day! Preheat oven to 350°F. 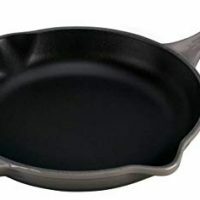 Spray a 9-inch cast iron skillet with cooking spray. Add butter to a large bowl with sugars. Stir to combine. Stir in egg yolk, extract, baking soda, and salt until combined. Add flour and stir to combine. Fold in M&M's and chocolate chips. 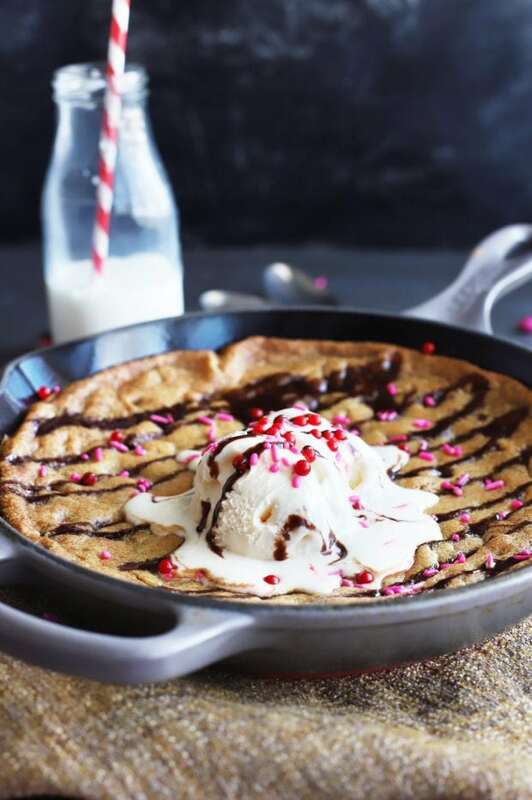 Pour batter into the greased skillet. Bake for about 16-18 minutes. 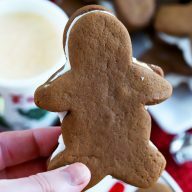 The edges should be olden and puffed, but the center should be soft. 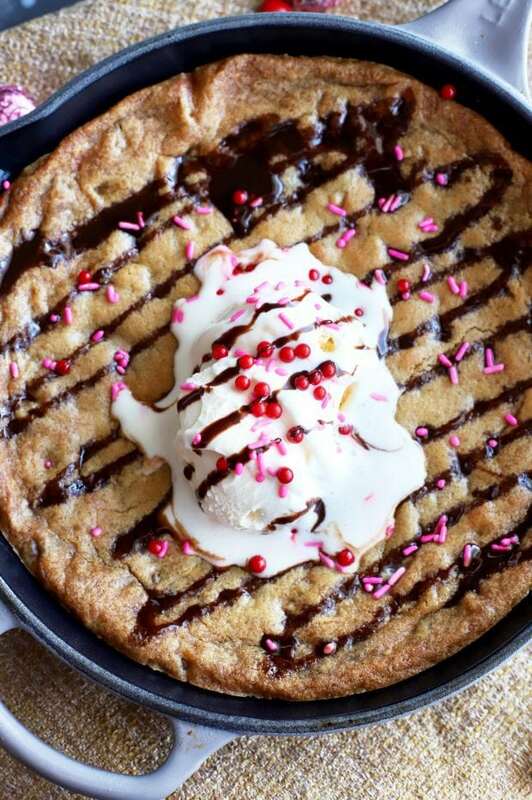 Serve with vanilla bean ice cream, hot fudge sauce, and Valentine's Day theme sprinkles.